When: Wednesday, January 25, starting at 7:00 p.m.
Mike will be at the Woodlands Orvis store to present our Healing Waters Lodge fly fishing vacation packages. 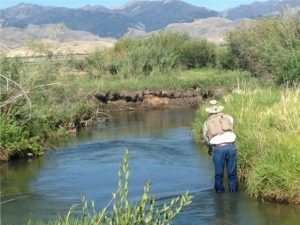 The Lodge is located in southwest Montana near the town of Twin Bridges and has easy access to miles of private spring creeks, meadow streams, and ponds; and, rivers such as the Beaverhead, Big Hole, Jefferson, Madison and Ruby, walk-wade and floating opportunities with our excellent guides. We offer, great food, clean and comfortable lodging, and stellar views in the heart of the beautiful Ruby valley.